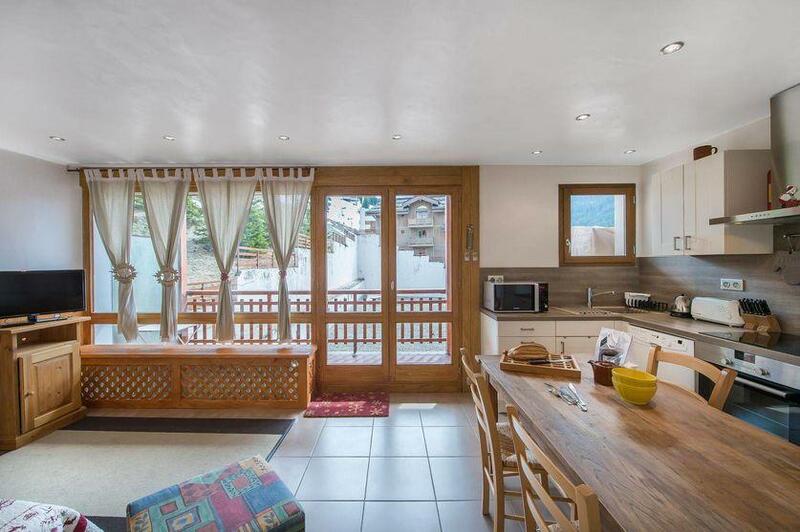 The apartment 'RE003S' is a large studio with cabin room located in the centre of Courchevel Moriond on the 3rd floor of the residence 1650. It has access to the slopes directly from the seventh floor of the residence. 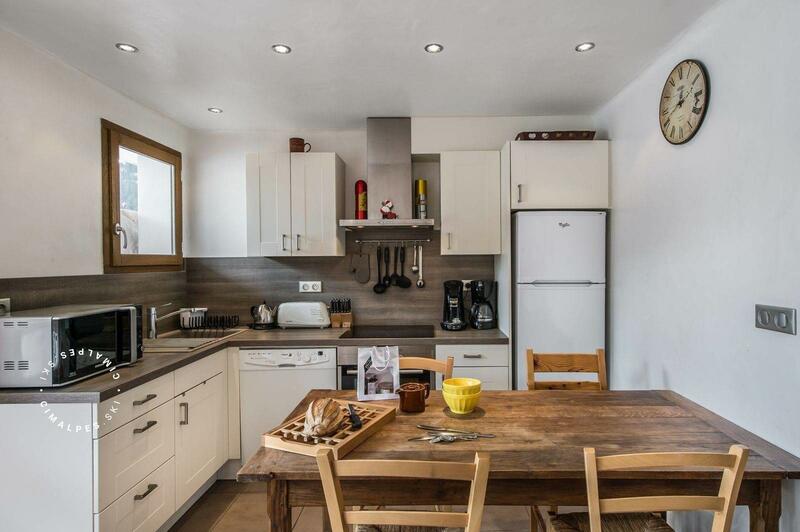 The location is ideal: ski lifts, shops, tourist office and ski school are located at the foot of the residence. 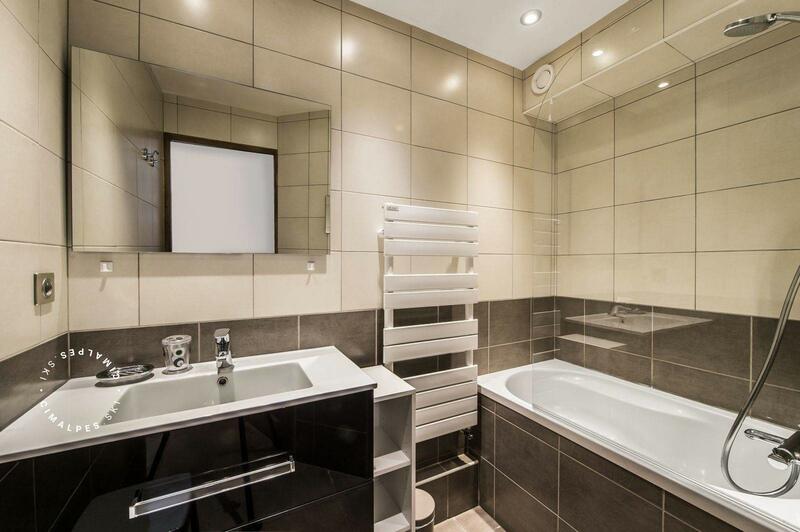 It has been recently renovated and the apartment is cleverly designed and very functional. 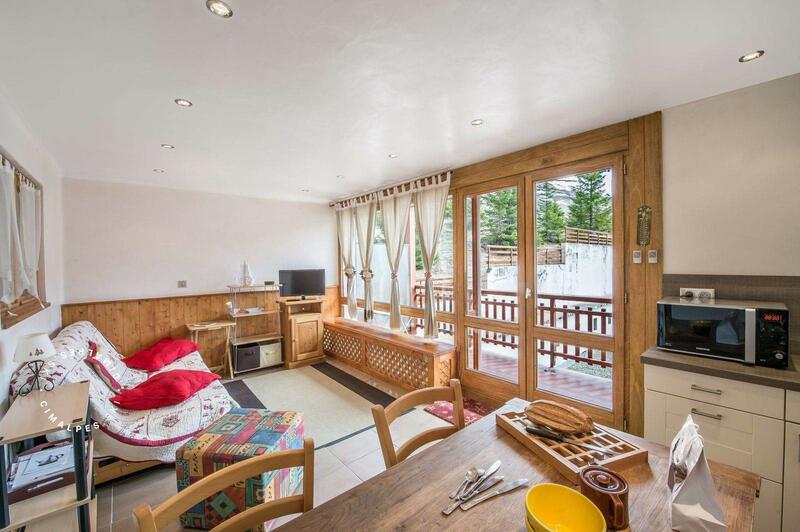 The living room is very bright and offers access to the large balcony which faces south. 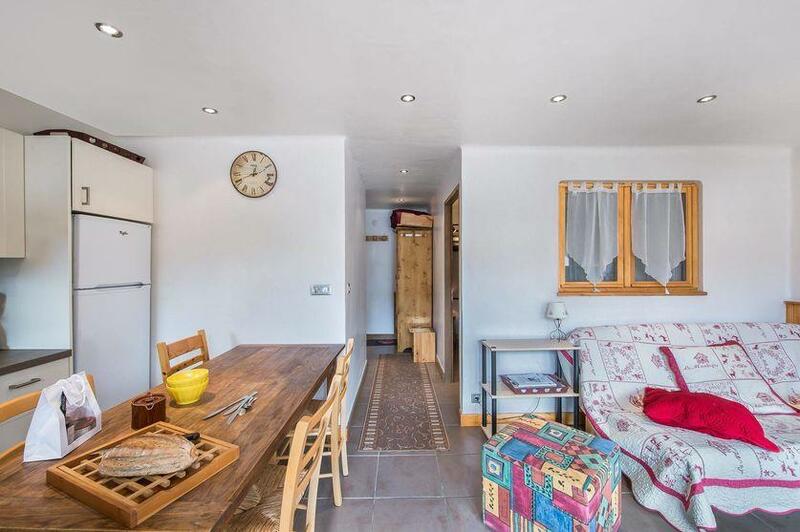 The 'RE003S' is the promise of good moments of sharing and conviviality for its five occupants. 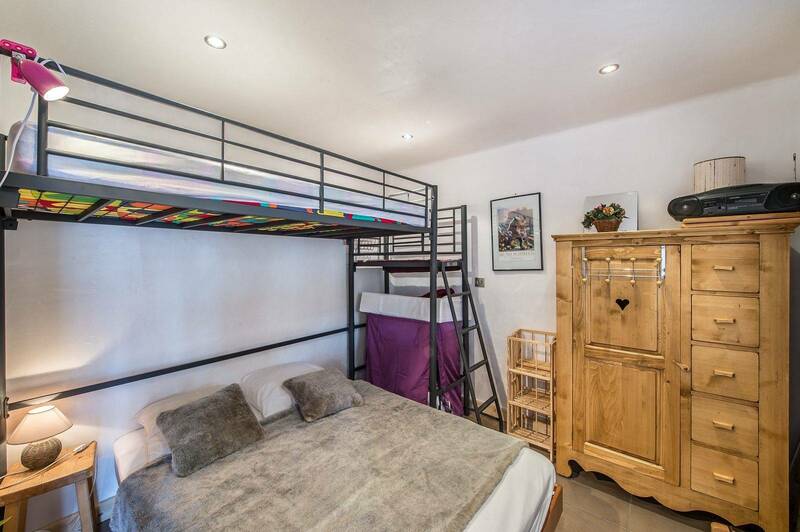 Nice studio facing South with a large balcony and large bay windows allowing the sun to bring light to the living spaces. 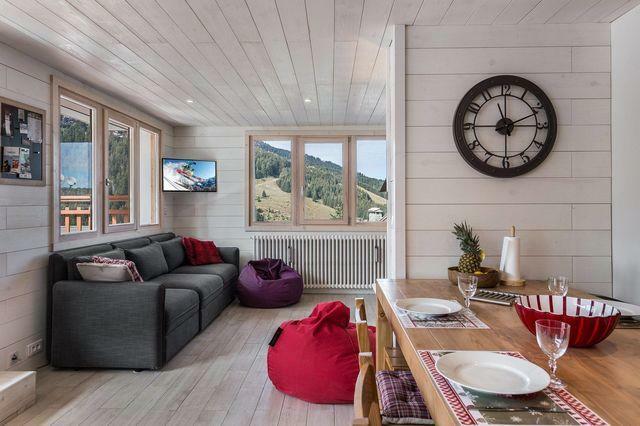 It offers ski in ski out from the residence which is located din the heart of Courchevel Moriond. 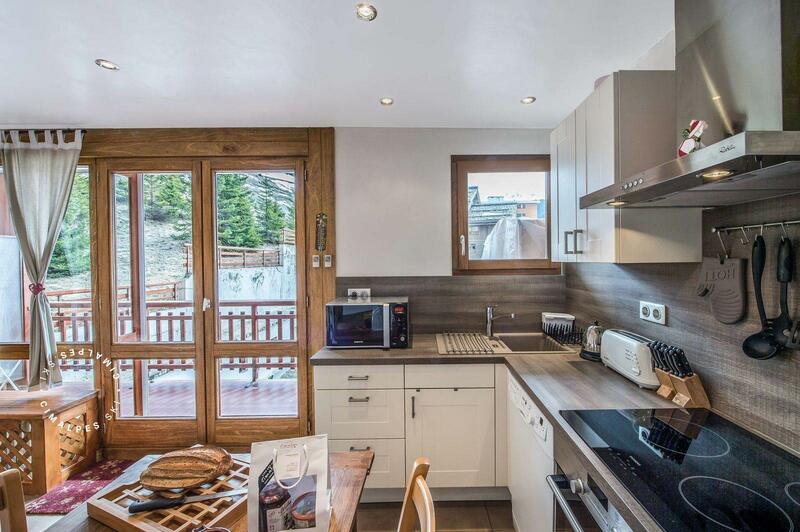 Ideal apartment for a group of sportsmen wishing to be the first to the ski lifts in the morning!